Announcement Find a great gift for yourself or a loved one! Urban Dragon Studios is the place where you can find charming handmade handbags, wallets, and zipper pouches. Find a great gift for yourself or a loved one! 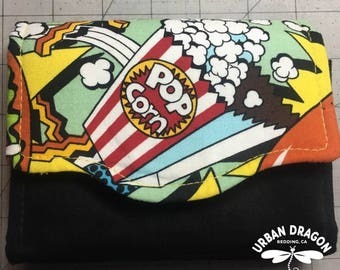 Urban Dragon Studios is the place where you can find charming handmade handbags, wallets, and zipper pouches. Original Star Trek domed handbag. Millennium Falcon wallet for the Star Wars fan. New handbag! Midnight Snack by Alexander Henry. Love this bag! Find a great gift for yourself or a loved one! Urban Dragon Studios is the place where you can find charming handmade zipper pouches, wallets, and other goodies. All listed items are ready to ship, but I love doing custom orders! I take pride in the quality and craftsmanship of my products by paying great attention to detail. New items are listed on most days ending in Y, so be sure to check back often!